When Tanya Fuller decided to open a boutique for women, she wasn’t a rookie to owning a business. Fuller owned businesses with her late husband, but three years ago she decided to take a different path into clothing retail. “I wanted something where I could be in the front instead of the back,” Fuller said. 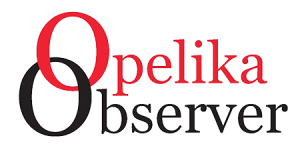 So, in 2016, Fuller began her journey of opening women’s boutique, Fab’rik, in Auburn. Fab’rik is a franchise of women’s clothing boutiques across the Southeast. Fuller said she had always shopped with her three daughters at the boutiques in Atlanta and Birmingham. In May 2018, Fuller’s hard work paid off, and she opened fab’rik in downtown Auburn, located at 140 N. College St., Suite 102. While fab’rik’s target audience tends to be college women, Fuller said she found that many young mothers and women 30 to 50 were looking for a place to shop, too. Fuller describes the clothing at fab’rik as high quality, timeless and edgy. In addition to the array of clothing options, the customer service aspect of fab’rik sets them apart from other boutiques, Fuller said, as well its personal shopping experience. The no. 1 goal at fab’rik is to talk to each customer personally. Part of that personal shopping experience, according to Fuller, includes pulling items in advance for customers. 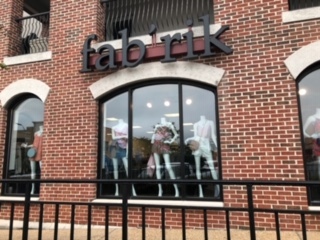 Fuller said that if a customer calls ahead of time in need of an outfit, stylists at fab’rik will pull options and set up a dressing room for the customer. When the customer comes into fab’rik they can simply try on their options, making the shopping experience easier for them. Fuller describes as a “girls night out”, include closed shopping for up to 20 people, beverages, snacks and 20 percent off all items. For those looking to donate gently-used clothing, fa’brik has a donation box in the shop. Clothes are donated to Free fa’brik, a non-profit that partners with other organizations in the local area to host free shopping sprees for young ladies in need. Fa’brik is open Monday through Saturday from 10 a.m. to 7 p.m., and Sunday from 12 to 5 p.m.